Nowadays many people combine the undercut with the comb over look and get a new hairstyle. The undercut hairstyle is considered to be a vintage style which is mostly characterized by the shaven sides and back of the head. The top section of hair is of longer length when compared to the sides and back which are shaved close to the head. Whereas the comb over hairstyle frames almost any face and is one of those contemporary and versatile hairstyles. Let’s take a look at the top 10 undercut with comb over hairstyles for men. Comb over and undercuts are the edgy and on-trend combination for the modern men. 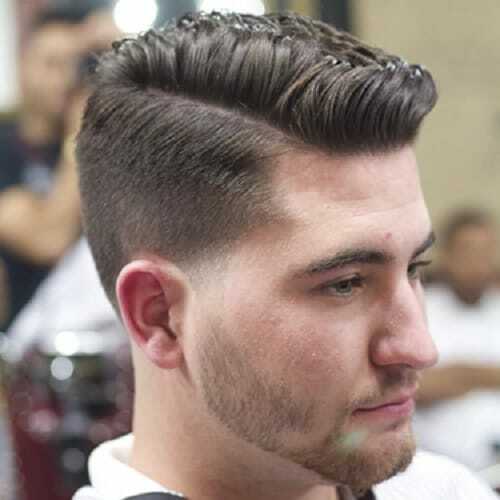 Check out these top 10 undercut with comb over styles that’ll rule in upcoming seasons. This comb over haircut has its undercut fade just above the ears which tends to give you a bold look. It is quite a risk-taker as at the beginning the fade is higher, but it ends up working well with the length of the hair on top. It mostly suits men who have well-styled straight hair. This haircut mostly suits the one who are more free-spirited. The high fade cut transitions from short sides to longer tops, thereby keeping less room for tapering. It makes your brow lines more prominent. Men with shorter hair should definitely try this who doesn’t mind taking risks. The contemporary haircut originated from the 18th century and aims at giving you a simple and defined dimension. This cut includes buzzed sides with razor sharp and crisp edges. It has an exceptional amount of top length which can be rolled back or combed over. This sharp style gives you a whole new level style which not looks creative but also makes you look fresh. Slicking back is considered as one of the most classic hairstyles around. It gives you a simple and smart look in an easy way. This version of the comb over haircut was a staple haircut for men in the 1930s and with an undercut, it gives both formal and casual style. The short comb over undercut is for those men who find it hard to manage their hair. It gives them a polished aesthetic look. Men who don’t like to take risks and opt to choose a safe option should always go with this type of haircut. This cut will go well with suits and without facial hair. 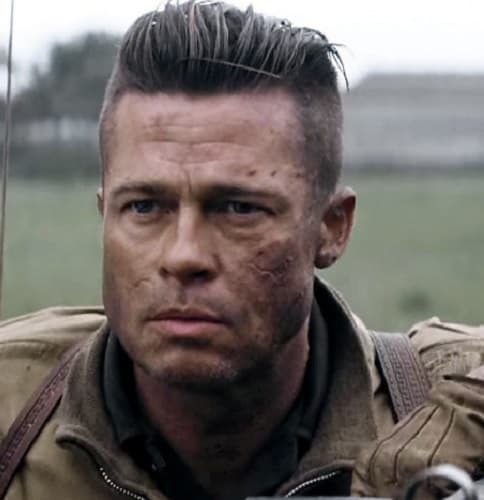 In this type of haircut, a razor is used to create the undercut look. The hair is side parted and is combed over. Usually, men with beards go with this haircut. It gives a classic look. The partnership of beard and comb over undercut gives a perfect look with more edge and makes you look stylish. A little flick or a small upsweep to your comb over with undercut can create a trendy hairstyle. This upsweep creates a slight height illusion. It is not always necessary to keep the comb over hairstyles smooth and sleek. A spiky comb over with undercut or fade can give you the ultimate youth look. The look is created by blow-drying the roots upwards. This increases the volume of the hair. Men who want to get the look of long hair can try this haircut. It disconnects the long flowing hair on top. The best way to get the hair back off the face is either you do towel dry or blow dry. The sides are highly faded leaving behind a thick wave of hair on top. The cool looking waves are a version of the comb over quiff hairstyle and undercut adds an edge to the overall look. After knowing about all these comb over undercuts you must have found something unique for you. So don’t waste your time and start styling your hair with one of these outrageous hairstyles.